The end of the year seems to be the ideal time for compiling lists and whereas others have looked at the best goals or their favourite games from 2008, I’ve opted for a completely different list: the best five books I’ve read during 2008. I’ll admit that I expected a bit more from this book. More in the sense of quality – it being a book published by When Saturday Comes I was thinking of something along the lines of Morbo or Tor – and also in the sense of quantity in that this book is actually quite lightweight. Yet, despite not quite being what I had hoped for, Elephants, lions and eagles was still a very enjoyable book. 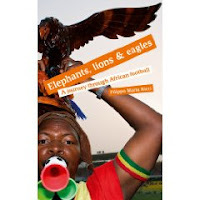 Ricci, an Italian sports writer in love with the African continent, looks back at a career spent covering the game there and has plenty of anecdotes which he tells in a lighthearted fashion. His tendency to put revert to translations of articles of his that had appeared in the Italian press does seem to be a bit lazy but if you’re willing to overlook that then you’ll like this book. Having moved to Russia initially for a year after falling in love with its literature, Bennetts has stayed there ever since, and apart from acquainting himself with the fine arts he has also found time to engage in another passion of his: football. This in turn led him to writing a book which delves into the current situation of the Russian game. His timing was perfect as Football Dynamo was issued just after Russia’s excellent showing in the European championships and Zenit St Petersburg’s triumph in the UEFA Cup but, apart from making the book more appealing to a wider audience, these events don’t have any bearing on the success of Football Dynamo. 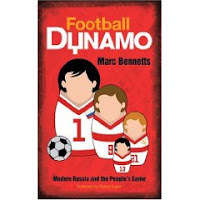 For it would be unfair to deflect any of the credit off Bennetts whose personal experience – and work in getting interviews with the great and good of Russian football - have allowed him to offer greater insight on a country that for many remains a huge mystery. Although this was published some way back, this was the first time that I’d read this book and have to say that within the first few pages I instantaneously regretted not doing so earlier. Vialli isn’t your typical footballer – for one thing he came from a very well to do family – and he is more intelligent then most: in fact far too intelligent, in fact, then try to bore people with an autobiography. So instead he set out to try and identify the key differences between football in England and Italy. Aided by the excellent Gabriele Marcotti – who I consider one of the top football writers around – he has looked at both his personal experience and that of a number of the top personalities in the game to try and give life to those intricacies that give different flavours to the game in the respective countries. The result is a book that knocks away any pre-concieved ideas that you might have and one that explains why it is that the same game is viewed in such a different manner. Tomkins has risen from a punter in a football forum to one of the most respected Liverpool writers around. Despite often being criticized for trying to put a positive spin on any situation, the fact remains that anything he writes is both well researched and well argued. That is certainly the case for Dynasty, a book that in many ways is his most ambitious project yet. Tomkins tries to determine Liverpool’s greatest ever manager by trying to put values to a number of variables such as the quality of the squad each one inherited and their performance in the transfer market. If that sounds like a statistical overkill, don’t worry because that element has been kept to a minimum. Ultimately, Tomkins doesn’t come with a definitive answer to his query but this remains a great read nevertheless. As with the Italian Job, this book had been around for some time but for some reason I always postponed buying it. When I did, however, it was love at first read and I ended up reading through the night to finish it. 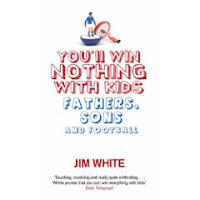 White is a football journalist with a couple of books to his name but rather than Manchester United, his preferred subject in the past, he has looked to his son’s youth football team for inspiration this time round. Indeed, You’ll Win Nothing with Kids is White’s diary of a season spent coaching (and becoming chairman) of his son’s club and if that sounds like an uninspiring topic then you’re well wrong. It helps, of course, that White can write intelligently and laces his work with loads of humour which ultimately means that he has served up a book that is equally funny, emotional and inspiring. At the moment I’m juggling between the story of the final days of Soviet football, Futbolstrojka, and Jonathan Wilson’s impressive look at the history of tactics Inverting the Pyramid: A History of Football Tactics . Apart from two sports-but-not-football themed books in the form of Michael Lewis’ The Blind Side: Evolution of a Game (gridiron or American football, call it what you will) and Running with the Legends (athletics) I’m looking to use the current favourable Euro to sterling conversion rate to buy James Montague’s When Friday Comes: Football in the War Zone which sound just like the sort of book that I like. 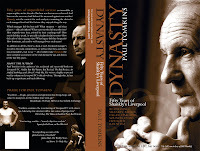 This article originally appeared on the blog A Liverpool Thing.